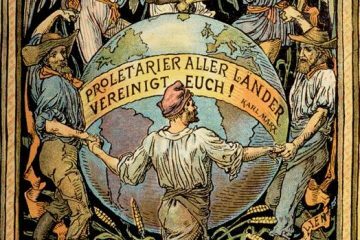 The following article is taken from the third edition of ThinkLeft, the Workers’ Party’s theoretical magazine, which focused on the October Socialist Revolution, to coincide with its 100th anniversary late last year. Get your copy of ThinkLeft 3 here. The Miliband-Poulantzas debate in the 1970s, while at times quite personalised and cantankerous as well as at times downright tendentious, also had a focus on what came to be called the agency-structure dilemma. This effectively revolved around the extent to which present and future events were effectively determined by prior ones and the role of agency within the same. Without going into the specifics of this particular debate – although it did absorb the attention and energy of many Marxist theorists at the time and represented a time when theorising perhaps became so abstract and obtuse that it attracted little attention outside the hallowed halls of then-academia – it none the less represented a problem for Marxists at that time and beyond. In the midst of the debate and argument going on at that time little attention was actually paid to the fact that as far back as the 1890s a similar, though not identical, debate was in the making (though not expressed in the same terms, it must be admitted) and rested at the core of tensions that had at the time emerged within the Russian Social Democratic and Labour Party and which subsequently contributed to the later split within that party, leading directly to the later emergence of the Bolsheviks led by Lenin. It is not the intention of this piece to re-enter the Milibrand-Poulatzas debate – that chicken has been well and truly roasted by now! Rather, it focuses on and examines the frequently ignored fact that the Russian Revolution of 1917 was significantly, perhaps even decisively, impacted upon by that debate and the events and actions that logically followed on from it. It will argue that the practical implementation of the vanguard theory, as articulated by Lenin in 1902, ensured that the course of events in the latter half of 1917 Russia would in fact take the direction that it subsequently did. Up until the latter decades of the 19th century Russia was ruled by the frequently despotic Romanov dynasty. Unlike other parts of Europe, where at least some forms of liberal democratic types of governance had been achieved, Russia continued to exhibit many of the restrictive hallmarks of feudalism with little obvious signs of any weakness being displayed by its rulers. Even so, the Tsars had found themselves forced by circumstance to increasingly rely on sourcing foreign loans and foreign investment capital to finance its own dynastic ambitions, particularly following Russia’s defeat in the Crimean War in 1856. Increasingly strapped for resources to fund its massive armies and maintain its sprawling empire, it subsequently found itself compelled to turn to external sources of revenue in order to provide funding and investments in its economy. This inevitably involved a major shift towards belated industrialisation and the subsequent emergence of a new, urban-based, industrial working class now coexisting with the traditional, peasant-based class structure that had been the essence of the empire’s social structure up until that point. By the 1890s these changes had accelerated rapidly, driving an enormous growth in the working class populations of the existing urban centres like Moscow and St Petersburg, as well as creating new ones like Kiev. All of this new proletariat were drawn directly from the peasants in the surrounding countryside and ensured a strong sense of connection between the newly urbanised and those remaining in the countryside. Dealing with both a newly emerging industrial working class and confronted also with repeated unrest on the land compelled the regime ultimately to attempt to stem the rural unrest by offering forms of buy-out to peasants, a policy which, though relatively successful in the short term, led later to further unrest when many of the peasants who originally availed of the deal became unable to repay the state-funded loans that had originally enabled them to buy-out from their feudal status. Indeed, throughout the latter half of the century successive Tsars alternated between attempts at some reform and then periods of reversion to repression. All of this was also occurring against a general backcloth of a rapidly growing population whose features included a significant growth in an industrial proletariat, as well as that of bourgeois business interests, along with a continuation of huge numbers of peasant-style rural dwellers. Each, in effect, the direct consequence of the then newly emergent capitalism which was making significant inroads in the Russia of the time, particularly as the state itself became converted to the need to modernise both its finances and communications infrastructure, as well as respond to the famine that had struck in 1891 and ha claimed the lives of over 500,000 people, mostly peasants. It was in this context that the late 1880s and 1890s saw the emergence of a Marxist critique of Russian society, by what would be known as the Russian Social Democrats. Following Marx’s death in 1883 the world of radical socialism in Russia was dominated by the ideas of Plekhanov, who at the time exerted a major influence over the thinking of its Marxists. Simply stated, his ideas were that socialism was indeed inevitable but only under one essential precondition: it would emerge after the completion of a bourgeois revolution, because only under the conditions of such a bourgeois regime could the industrial working class become both sufficiently numerous and conscious of their class position to enable them carry out a proletarian revolution. That this represented the orthodoxy of the time was not at all surprising given that much of what Marx had actually written was not yet fully available (nor indeed would it be until much later, when actually published by the USSR). In this context, where there were only relatively fragmentary versions of what Marx had actually written available even to the intellectuals – let alone the public at large – there were as a consequence frequently competing and confusing versions and opinions about what it actually was that Marx either had specifically written or about how it ought to be interpreted, etc. While Lenin may have accepted Plekhanov’s particular interpretation initially, it is also clear in his writings from this period, especially in his rebuttal of the Populists’ case that dividing the land amongst the peasants would somehow bring about a socialist republic, that he was now also implicitly challenging the view of the gradualist route to revolution that defined Plekhanov’s writings. Increasingly, Lenin was moving towards his later position that only a revolution that actually overthrew capitalism in its totality would merit the name of being a true socialist revolution. In this he increasingly was focussing upon the need for what he would later term the vanguard party to serve of necessity as the primary instrument, the agent, of such a revolution. More critically, he had also identified that, unlike the Populists’ romantic view, which frequently extolled the virtues of peasant life as being the epitome of the “good life” and to which all should aspire towards, the peasants in reality did not constitute an undifferentiated rural, social class uniformly in thrall to landlords and whose liberation from that would somehow usher in an idyllic age. Rather, as argued by Lenin, peasants at that point, far from constituting a singular, undifferentiated entity, were actually composed of variegated, ranked orders of economic and social significance at which base was posited the broad majority of peasants whose precarious existence, primarily because of their lack of significant land holdings, marked them out as the single most marginalised rural class of all. These two major writings by Lenin form an indispensable backcloth to his later ideas. While they would not fully crystallise until around 1902, when he published What Is To Be Done?, it was by 1894 now inherent in his thinking. While What Is To Be Done? marked a formal and fundamental shift not only in Lenin’s thinking, it also finally brought out into the open the disputes over interpreting Marx that had been simmering beneath the surface of the nominally unified Russian Social Democrats up to then. Until that point, Plekhanov had more or less provided the de facto general ideological compass for the party. Inherent within his long-stated thesis of an effectively gradualist move to socialism – and which had exerted a significant influence on the thinking of other Marxists in the Russia of the period – was somehow that not only was there an inevitability about such a revolution taking place but it would, more or less, happen almost spontaneously (following a period of bourgeois rule) and that the role of socialists would be more to guide and inspire it rather than lead it or direct any progress of events. It was a view that was heavily reliant upon there being some sense of historical inevitability about all of human affairs and that the socialist or proletarian revolution would in the same way not only be an inevitable outcome of a historically determined process but that the essential class consciousness that would precede and inspire such an event would also come about via the same historically determined process. In this form of thinking the role of formal organisation was viewed as minimal. In addition there was also the argument – also implicit in Plekhanov’s writings – that at its then stage of development Russia was simply not yet ready for such a revolution. This argument was more or less predicated on the basis that the Russian demographic structure militated against it, given that the new proletariat was not yet of a sufficient relative size and influence so as to be actually capable of achieving such a revolution and that such an event was still a considerably long way off. Inherent too within this position was the idea that revolution would only be possible if and when the Russian proletariat itself actually formed a clear majority of the population as a whole. In this sense the proponents of these views neither envisaged nor encouraged such a revolution at that juncture. 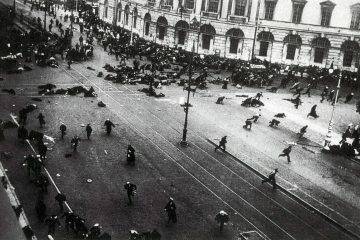 Indeed, as later events in 1917 would also show, this particular view became in practical terms the defining stance of the Mensheviks when they took it to its absurdist extent in openly and consciously working towards and willing to support a bourgeois form of government rather than attempt or support a revolution from below. Along with this there was also the old Populists’ view which actually insisted that it would not be the proletariat at all but the peasants who would be the initial revolutionary force in Russian politics and society! 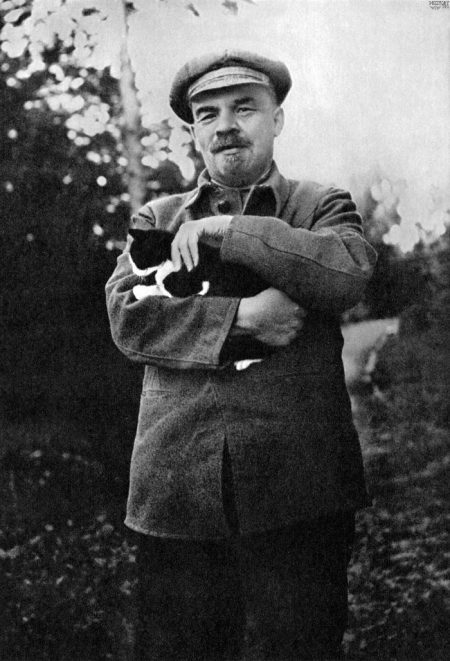 By arguing for the necessity of a vanguard party Lenin was effectively directly challenging what was in essence an orthodoxy which was essentially the structuralism of its time: an orthodoxy that intrinsically was saying that as the necessary social structure had not yet been established, a socialist revolution had of necessity to be preceded by a bourgeois one. This was an almost-perfect ultra-structuralist view and one which relegated agency to a marginal, secondary status at best, viewing it almost an afterthought – if at all. By contrast, in What Is To Be Done?, Lenin had de facto elevated agency – in the form of the revolutionary party – to be the essential “vanguard of the proletariat” in their struggle for victory over the forces of capital and reaction. In this sense he envisaged that cadres of disciplined, trained activists would have as their principal tasks the absolute necessity not only to organise already-conscious workers along with their rural allies but, simultaneously, to work assiduously agitating in ways that also served the vital task of actually raising consciousness as well among those workers still uncertain of their specific class position within and under the capitalist regime. For Lenin, while capitalism had indeed created its ultimate nemesis in the form of an industrial proletariat, he also instinctively knew that the same process which had indeed brought the proletariat into existence would not and could not spontaneously make all of them socialists. This, specifically, would be one of the vital, key roles of the party itself. To act as a vanguard then would of necessity involve providing more than the relatively simple task of mere coordination of various, disparate groups of workers in their daily struggles with individual capitalists – as was implicit within the Menshevik strategy. 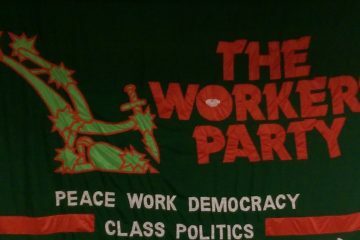 The Revolutionary Party acting as a vanguard would of necessity need also to serve as the crucial instrument of the workers’ struggle, both in organising and leading them towards not reform but the very revolution that would finally liberate them from capitalism. The significance of What Is To Be Done? cannot and should not be underestimated. In writing it Lenin had in effect crystalised and made manifest all of his earlier reservations and implicit critiques of Plekhanov that were latent within his earlier, critical writings on both the structure of Russian society and its significance for revolutionary purposes. And whilst not openly couched in the language of structuralism or determinism versus agency, this in essence was what was involved. This is not to argue that Lenin was somehow simply a political opportunist, one who viewed revolution more as a personal political project that would serve to demonstrate his greater analytical and motivational skills. Far from it! He was deeply committed to removing the appalling injustices that marked capitalism in Russia at that time and understood perfectly the significance of Marx’s analyses and prognoses for that system. 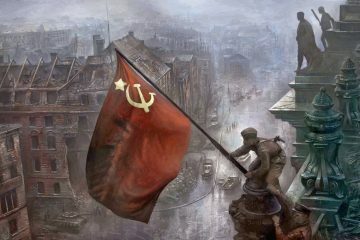 But he had also become deeply dissatisfied by the sheer abstractness of the prevailing orthodoxy of the Marxist critique in the Russia of his time, ultimately viewing it simply as an end of itself and offering little of significance in terms of contributing towards the very revolution that would be the ultimate fate of capitalism. Simply to wait for the “Godot” of consciousness to evolve and to experience a bourgeois revolution as a precondition for the proletarian one was finally rejected by him; this is the essence of What is to be done? In rejecting this view Lenin in many ways was prefiguring the later debates really of the 1970s and beyond. Implicit with his later writings is an acceptance that agency, in the form of the revolutionary party, would serve as the critical force in achieving revolutionary change. But it would also be mistaken to view his agency position, latent or otherwise, as a total rejection of structuralism per se; rather it represented a more subtle application of it within the context of Russian socio-economic conditions at that time, conditions which suggested – by virtue of a purely structuralist argument – that Russia still had a long way to go before a truly revolutionary working class would be in existence. Lenin was not of course rejecting the structuralist argument; rather he was refining it in terms of what was possible under certain circumstances. And what was apparent to him – and his allies! – was that while the Russian proletariat was indeed far from being the majority class in Russia, it was still capable of revolutionary action if it allied itself with the bottom class of peasants, who by then represented what he considered a rural working class. In such an alliance he correctly believed that it would indeed be realistic to expect revolutionary change when both combined and acted in concert. To achieve that unity of being and action was the principal tasks of the Revolutionary Party. This was agency added to structure. It is clear from his writings that Lenin was acutely aware of the paradox of this. In proposing What is to be done? he was recognising two things; one, yes structures do exist – the actuality of Russian society and its then composition could not be avoided or denied! But he was well-aware also that one of the central ideas in Marx – that all existing societies were themselves the products of past class struggles – held enormous implication for the politics of his contemporary era in Russia, and that just as previous generations of activists, particularly the bourgeoisie, had struggled against royalist and aristocratic despotism before finally emerged victorious in different places and at different times – so too it would only be through similar such struggles that the proletariat could ever hope to be victorious in their odyssey towards liberation. Indeed, those same past struggles had inevitably laid down the very socio-economic and political structures within which the contemporary proletariat would have to act, and which would inevitably frame the contexts within which they actually could act in order to seek to achieve the outcomes viewed as necessary and beneficial to their interests and needs. In this sense Lenin’s theory was revolutionary in itself; we may indeed choose to act in particular ways, ways that are indeed designed to try to bring about ends that are desired by us as agents, but the context within which we act are not chosen by us, rather they are ones that are inherited and framed by the past; more specifically by the past actions of successful elites. In insisting on the role of a vanguard, revolutionary party, Lenin was not then simply advocating a tactical device that would lend itself to achieving a successful revolution for Russian workers. As argued in this piece, What is to be done? represents significantly more than a simple tactical device designed to achieve a certain or specific end. In terms of its analyses of the then-existing society and specifically in the way in which it engaged factually with the historical and material arguments of Marx, it represented at that time the most significant contribution to Marxism since Marx himself! By understanding almost perfectly Marx’s famous statement that, “Men make their own history, but not under circumstances chosen by them” he successfully applied that by putting forward his ideas as to how actually that revolutionary change would indeed happen. More important, how in fact it would be achieved. This then was the truly revolutionary part of Lenin’s What is to be done? It did not simply represent a “handbook for revolution”, a series of instructions to be routinely followed like putting together a model airplane kit. In arguing relentlessly for a revolutionary party to act as a vanguard for the workers Lenin knew full well the theoretical implications of what it was that he was urging, that the analysis that had dominated both thought and action up until then was no longer fit for purpose and that agency had a vital role to play in achieving revolution. As the events of the October Revolution of 1917 would later show, Lenin’s theory was completely validated. The Russian Revolution didn’t just “happen”; it was “made”! There are still lessons in this for today. Michael Donnelly is President of the Workers’ Party and teaches at the National University of Ireland, Galway. N. Poulantzas, “Capitalism and the State”, New Left Review 1.58 (1969) and N. Poulantzas, “Controversy over the State”, New Left Review 1/95 (1976). G. Plekhanov, Selected Philosophical Works Vol. 1 (1977). V. Lenin, The Economic Content of Narodism (1894). V. Lenin, “Development of Capitalism in Russia” in Collect Works, 4th Education (1964). J. Reed, Ten Days That Shook The World (1919).